A number of camera manufacturers have released statements announcing that Sony will discontinue production of CCD sensors in March 2017. Operations will cease on the company’s CCD 200mm wafer line at the Kagoshima Technology Centre in Japan. While there is no official confirmation of the move as yet from Sony, IDS, Allied Vision, Point Grey, Framos and Stemmer Imaging have all released statements about the news. Sony has been a major supplier of CCD sensors for 30 years. The news, once confirmed, would be further evidence of the trend of CMOS technology taking over from CCD sensors - the CMOS market is expected to reach $13 billion by 2018. Sony has released its first global shutter CMOS sensors, the Pregius sensors, which combine aspects of both CCD and CMOS in the pixel design. The sensors have impressive quantum efficiency, dynamic range and dark noise, and, because they are global shutter, are ideal for machine vision. It could be that these CMOS detectors have been developed as a replacement for the company’s CCD product line. Details of exact last-time buy (LTB) or last-time ship (LTS) dates for the affected CCDs have not been released publicly by Sony, Michael Gibbons, director of sales and marketing at Point Grey, said in a statement. Axel Krepil, head of sales for the imaging sensor division of Framos, commented in a statement that the March 2017 date relates to the wafer production only, and that assembly of the final CCD housing will continue until March 2020. He said that last orders for CCD sensors could be as early as the end of this year, although this is subject to discussion. 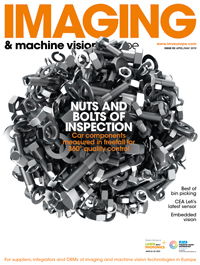 Krepil added that the advice from Framos is to start the transition to CMOS sensors as soon as possible, a feeling echoed by Stemmer Imaging's Williamson who said that 'camera manufacturers will need to commit to quantities much earlier [than 2020]'.